A Northbrook man admitted to selling hundreds of fake paintings on eBay. Mom always said watch your P's and Q's. But she never said anything about your P's and L's. 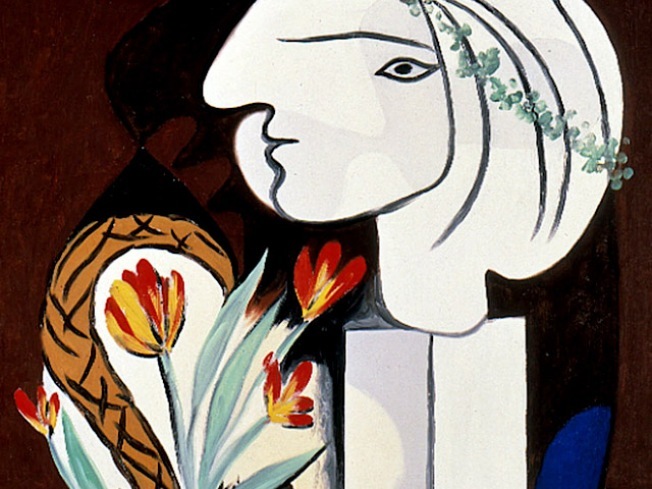 Michael Zabrin of Northbrook pleaded guilty Tuesday to tricking at least 250 people out of more than $1 million through the sale of counterfeit paintings by Pablo Picasso and Roy LIchtenstein -- which he obtained using a simple one-letter code in emails sent to his suppliers. According to 57-year-old Zabrin, he purchased the prints for $1,000 to $1,500 in Spain and Italy. Zabrin got the fake works by e-mailing his source, saying "I need some P's," when he needed a fake Picasso, or "I need some L's," when he needed a counterfeit Roy Lichtenstein. Zabrin then sold the paintings on eBay for several times that price, advertising them as the works of Picasso and other modern artists. He clearly put a lot of thought into this code. Even though a few people recognized the works as fakes, Zabrin admitted to refunding their money and reselling the returned works to other customers. Zabrin faces up to 13 years in prison and a fine of $250,000. Zabrin's customers likely have a few choice four-letter words for him.